Alright people. 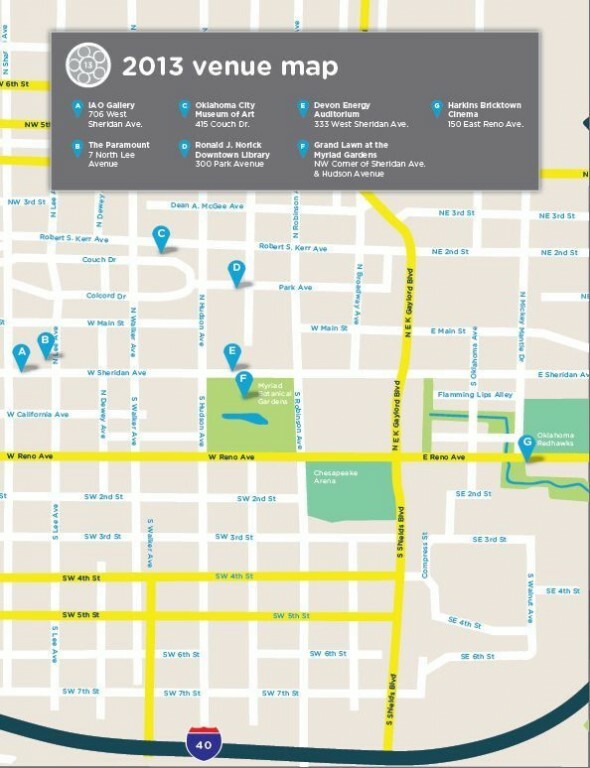 I forget what number of “Things to do in OKC” we’re on, mostly because this city is vibrant and has so many events you’d have to spent the majority of the last decade living in a fallout shelter (a la Brendan Frazier in “Blast From the Past”) to be completely clueless as to what is out there. This is to say most film enthusiasts in the OKC metro are probably well aware Oklahoma City’s annual deadCENTER Film Festival. The festival is now in its thirteenth year and bigger than ever. And this year moviegoers can expect to choose from 115 films screening this year. If this is the first time you’re reading about deadCENTER, I’m going to assume you’re new to the area and not some quirky kid who grew up extremely sheltered. Although I’m not judging should you fall into the latter category. Here are some fast facts about the film festival. Festival Fact 1: since it’s inception deadCENTER has grown into a premiere international event, and is recognized as one of the “Top 20 Coolest Film Festivals in the World,” according to MovieMaker magazine. I know people like to think of Oklahoma as a flyover zone, but trust me when I say there is a push to change that. Don’t believe me? Psssh. Check Festival Fact 2: The 2013 deadCENTER Film Festival will feature 115 independent films, including comedies, dramas, documentaries and short films from Oklahoma and around the world. More than 700 films were submitted this year, more than any previous year. Still not convinced that’s been a substantial investment in building local film culture? Festival Fact 3: More than 12,000 people attended deadCENTER Film Festival screenings in 2012, generating an economic impact of approximately $1.14 million for Oklahoma City. This is a scene from “This is Normal” a short documentary film from director Derek Watson. It screens with other “Okies in Your Corner” films this Saturday at 6:30 in Harkins Bricktown Theaters. The synopsis “A businessman works hard to find success. 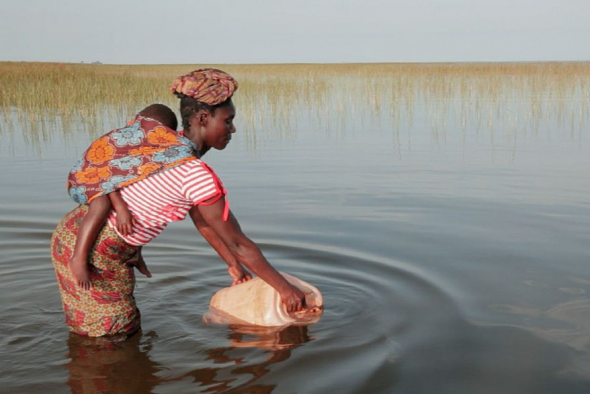 A mother in Zambia walks hours each day to collect contaminated water for her children. A young African man struggles to provide for his family. For each of them, this is normal but their lives change and their stories collide when a water well is dug in rural Africa.” Also note worthy: Watson is also an OKC resident. Given the crazy weather these past couple of weeks, I feel that deadCENTER is a welcome respite from the stories associated with the EF5 tornadoes. And really, that’s what movies have always done for us. Even so, this isn’t to say deadCENTER isn’t weather aware. For example, tonight’s opening night screening of the Rolling Stones documentary “Charlie is My Darling” has been moved in doors. There will be two screenings: at 6 p.m. and 8 p.m. The screenings are still free and open to the public, and seating will be on a first-come-first-served basis. While opening night is free, the rest of the festival is not. Serious cinephiles can purchase All Access passes online, which are available online for $125 ($75 for students). It gains the holder priority admission to every film, party, panel and special event. Individual tickets may be purchased for $10 at the door prior to each screening. Admission priority is given to pass holders. Additionally OK City Card owners can purchase 2 for 1 All Access passes. When you purchase online, the quantity will say one for $125, but you will redeem it for 2 All Access passes. Limit one per card. Check the link to see the films screening this year. Tagged 365 Things To Do in OKC, Check Festival Fact, deadCenter, festival, Festival Fact, film, Harkins Bricktown Theaters, OKC, Okie Shorts, Oklahoma City, stories, Zambia. Bookmark the permalink.